The Troy-Bilt 27 Ton Log Splitter - Wood Splitter is built with heavy-duty construction, cast-iron splitting wedges and tons of RAM force. Commercial 5.5hp OHV Engine Ensuring Long Life and Reliable Starts. make a stack of firewood out of even your largest trees and logs. than the alternative of lifting them up onto a Wood Splitter beam. 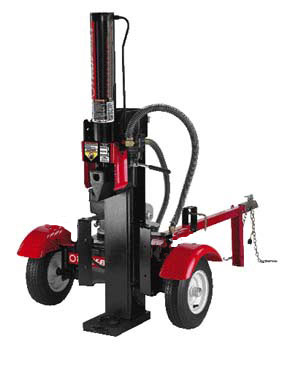 Questions on any Troy-Bilt Log Splitter or Woodsplitter?